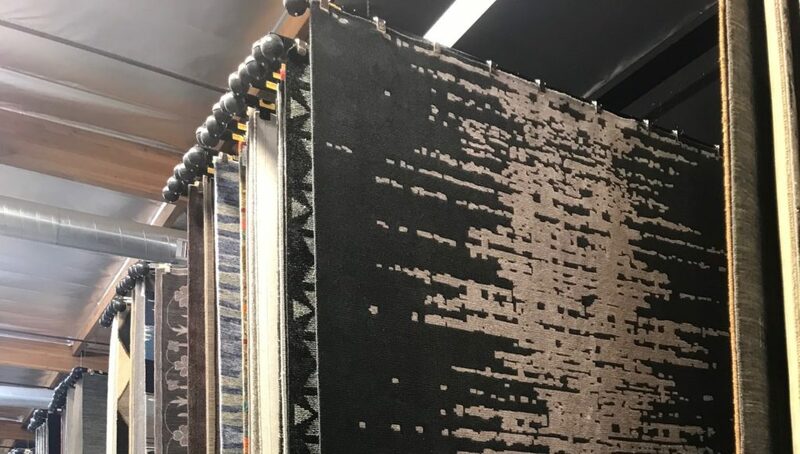 Nelly Ortiz asked exhibitors “What is the Biggest Rug you have available and what is the MSRP”. Those were the rug pictures she took. We think Jaipur had the biggest rug, a 18x18 hand tufted viscose and wool rug. Caravan Modern’s Boxter collection had Sizes up to 14×20 with MSRP of $28,000. Palmetto Living (Orian) was showing Riverstone made with 100% Polypropylene in sizes up to 12×15 with MSRP of $1,859.